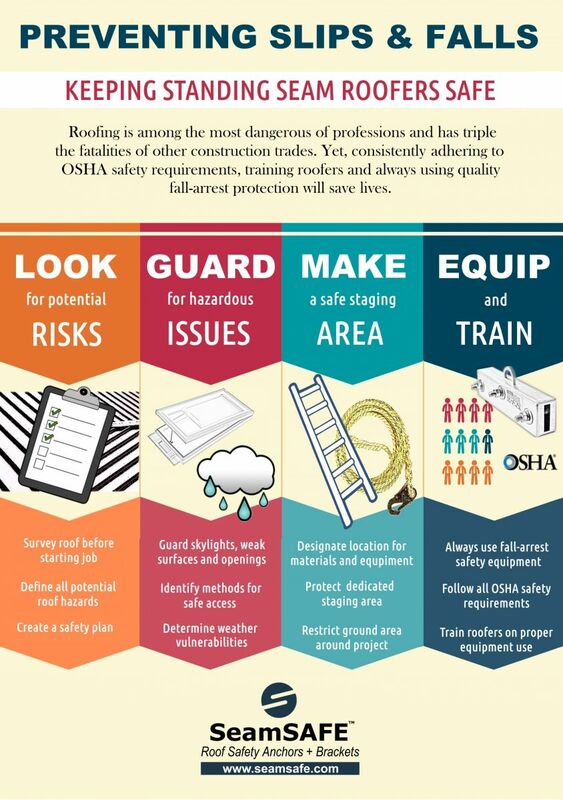 Roofing is a tough and hazardous profession with on-the-job fatalities on the rise. Our trade ranks in the top 10 most dangerous professions, according to the U.S. Bureau of Labor Statistics. To learn about SeamSAFE anchors and brackets - and how the lightweight, advanced engineering protects roofers from hazardous falls - please visit our product information page. Or, call us at 855-263-1521.